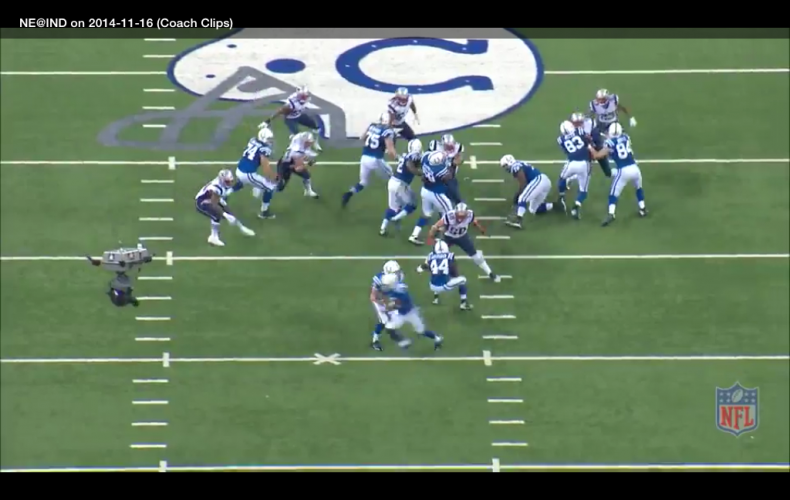 There has been a lot of focus on the Colts run game. Some have blamed the runners without taking a closer look at what they see after they get the ball. They have gone as far as to say that Trent Richardson can’t run. That may be the case but let’s see what the pictures show. This game within the game look will give you a feel. 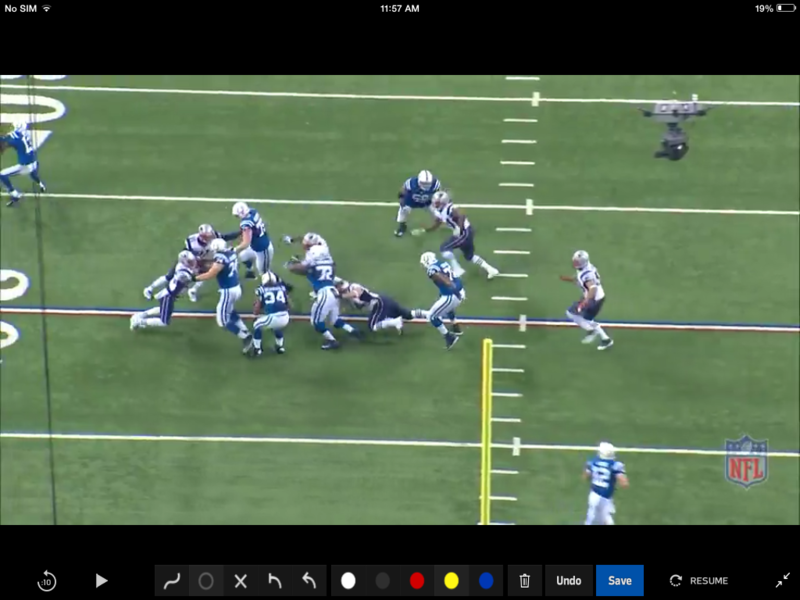 The first picture is from the first quarter of the Sunday Night Football battle that focused mostly on Luck and Brady. Take a look at what Trent has to hit here. 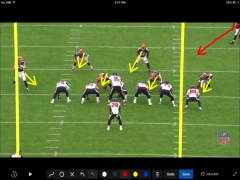 The left tackle is jacked up by the outside backer and Wolfaulk is controlling the center. NO GAIN. You can see the offensive lineman on the ground looking back. He has over reached his assignment and provided entry into the backfield. They are lucky this didn’t end worst. The last picture shows a play later in the game. It’s a toss to the left. Observe the penetration that has already occurred. It’s going to take a Herculean effort to get back to the line of scrimmage. 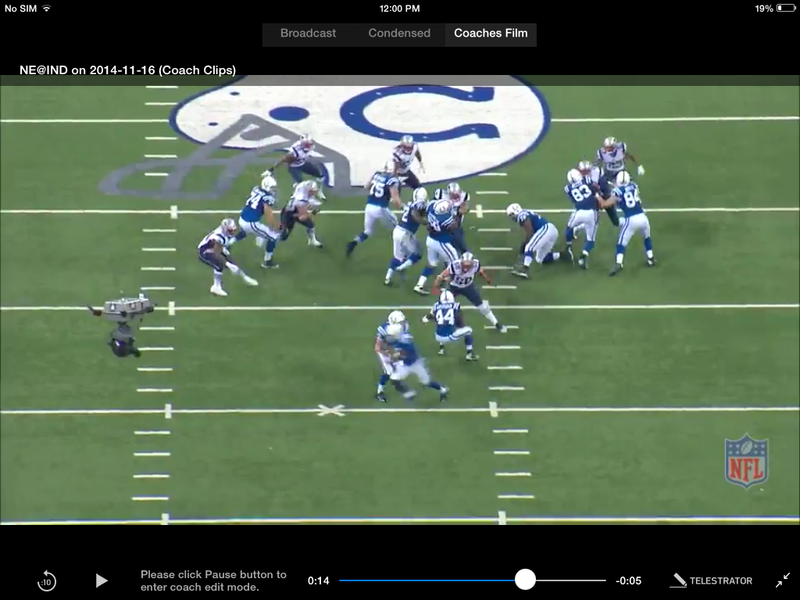 Trent is trying to get in between the kick out and lineman being driven back. NO GAIN!